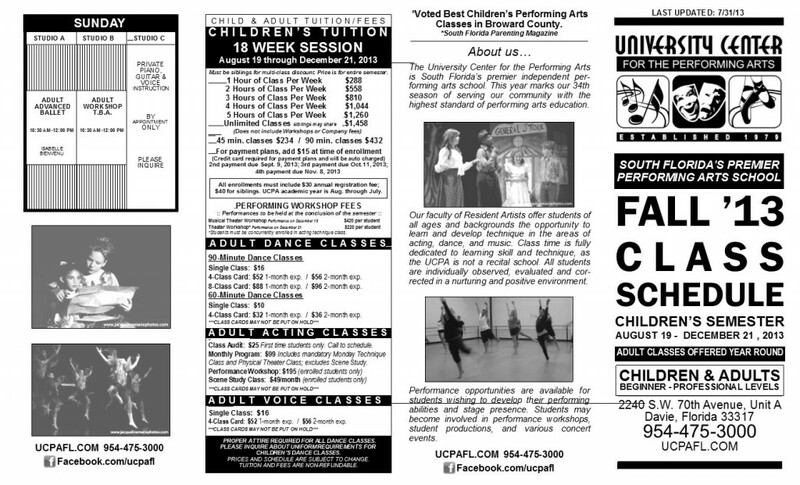 An exciting line up of new classes and workshops for both adults and children are coming up for Fall 2013. We are also proud to introduce new instructors teaching classes and workshops. Check out the new schedule and call the office at 954-475-3000 for more information. DOWNLOAD THE SCHEDULE, PRICING AND ENROLLMENT FORM PACKAGE BY CLICKING THE IMAGE BELOW.